In a break from tradition, this is not an article about some convoluted historical event, my experiences in a less than savoury setting or my girlfriend trying to bump me off. In fact 2ndcupoftea is going all highbrow and brings you a short review of a museum. The Museum is housed in an old power station and only ended up as a museum thanks to a series of fascinating and fortunate occurrences. It is now used by the much more famous Capitoline Museums as an experiment in museum display techniques; position of Roman sculpture, lighting angles and so on. This makes the experience quite unique. For one they allow photography and with flash. You can imagine how long I could have spent there. 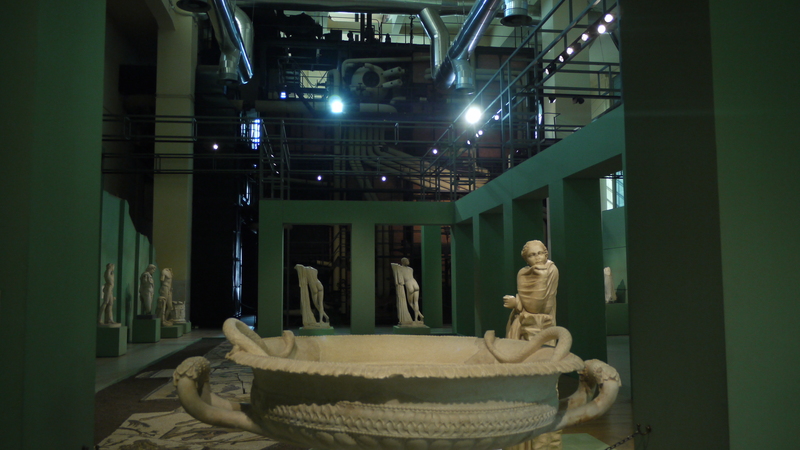 To read more about why I found this museum so amazing please clink on: Roman Sculpture in The Centrale Montemartini And when you next visit Rome, if you are looking for something different: go! You’ll not regret it. ~ by 2ndcupoftea on January 21, 2011. Wow! This looks interesting. Hope we can visit on our next trip. And, hope all is well with you. I would certainly go back any day! For photography students, this would be a GREAT visit.